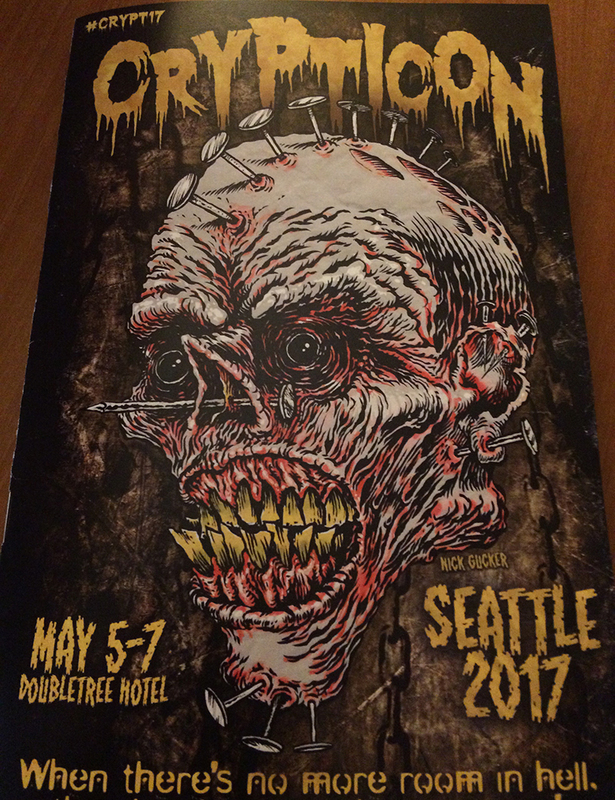 For the ninth year in a row, the gang set out for Crypticon Seattle! 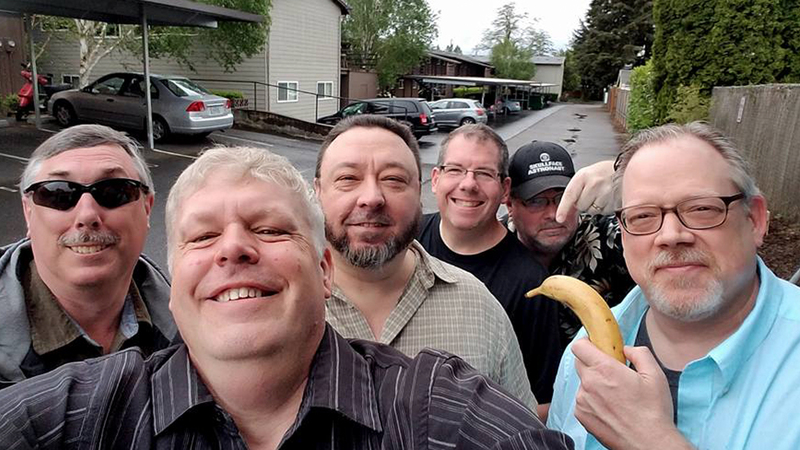 And Mike had a banana. 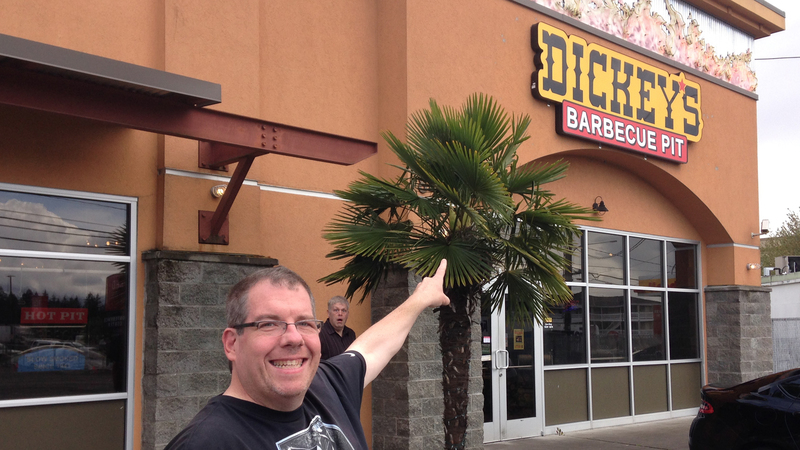 First stop - BBQ at Dickie's in Tacoma. 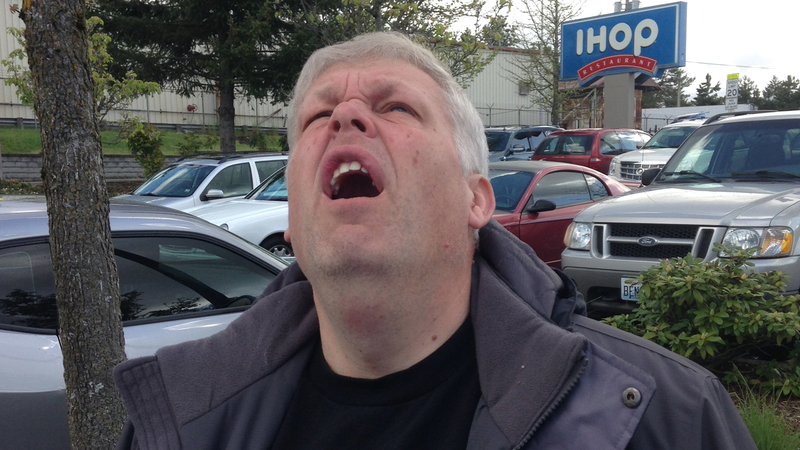 Dave is excited. 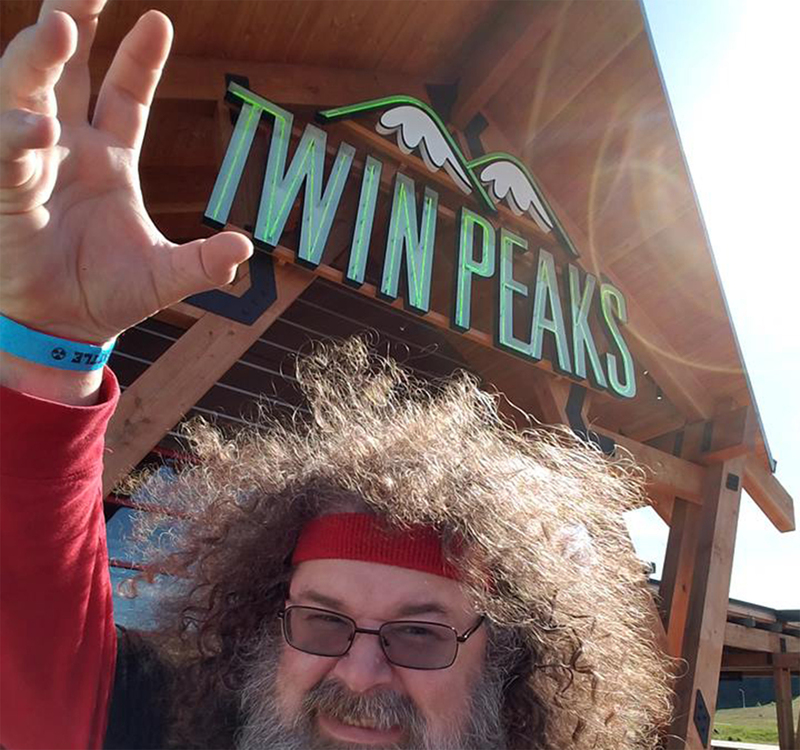 John is, too! 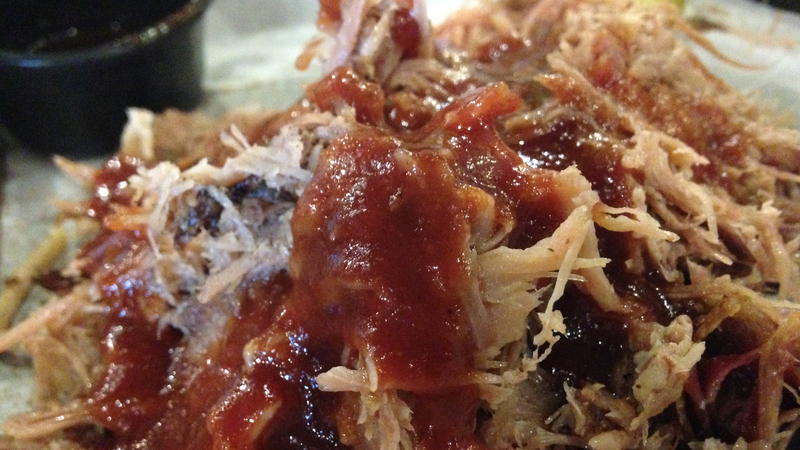 Man oh man, that's some good pulled pork. 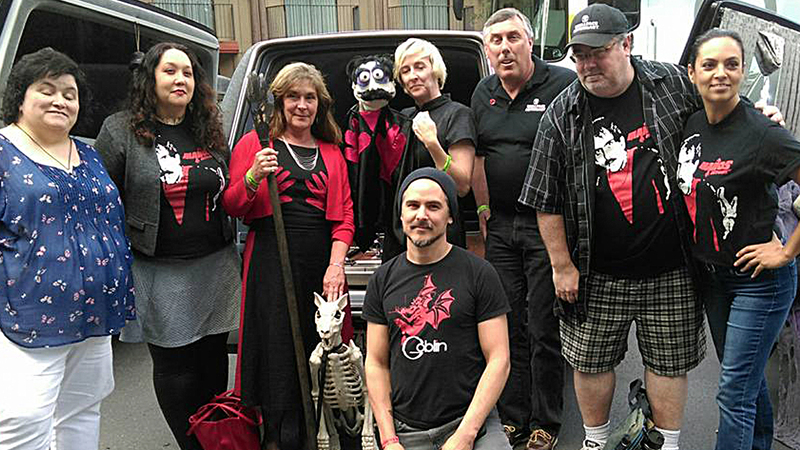 Once at the con, we saw Jackey Neyman Jones (little Debbie from MANOS: THE HANDS OF FATE) and Rachel Jackson (with her Master puppet from MANOS: THE HANDS OF FELT) being interviewed by a crew for a food-centric reality show. 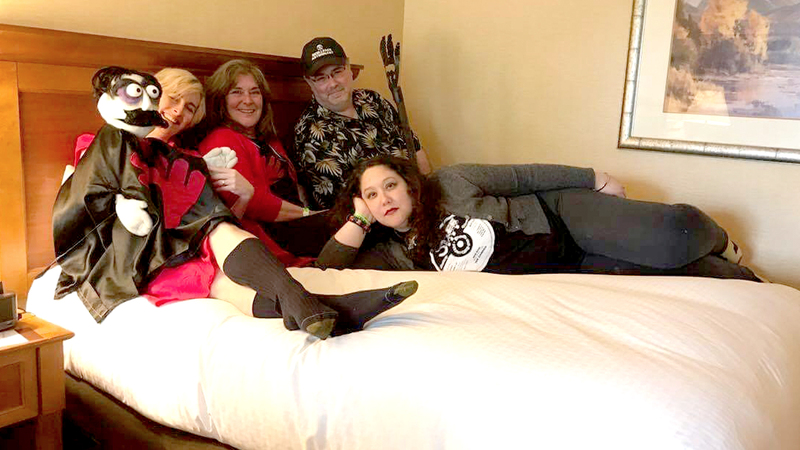 After getting my con pass, I soon found myself in bed with three lovely ladies and a puppet! 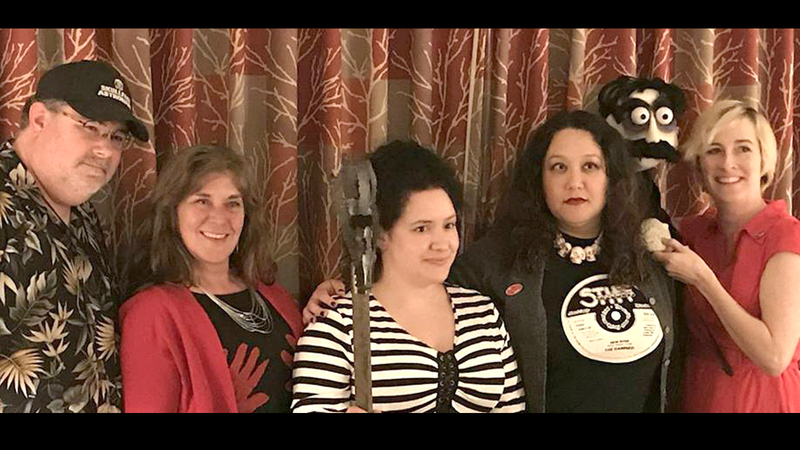 As the producing team for MANOS RETURNS, we were being interviewed by Mi Chelle Nessk for Gloomy Sunday Productions. 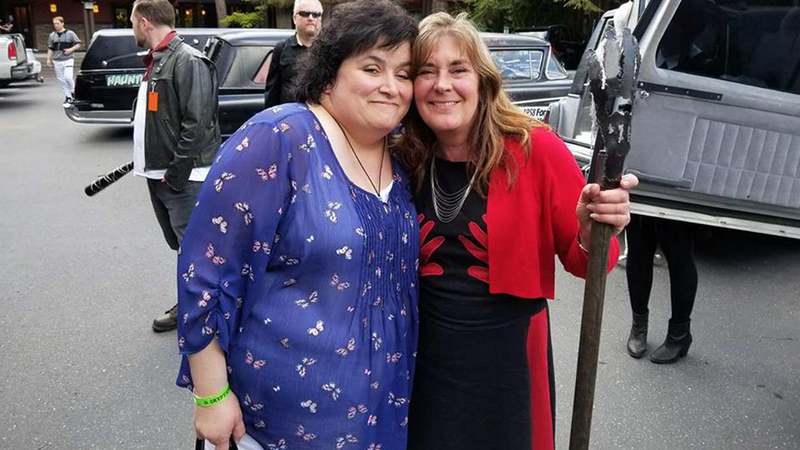 It was fun and I got to hold the Manos staff! Showing off the lovely curtains with the MANOS RETURNS team and Mi Chelle after the interview. 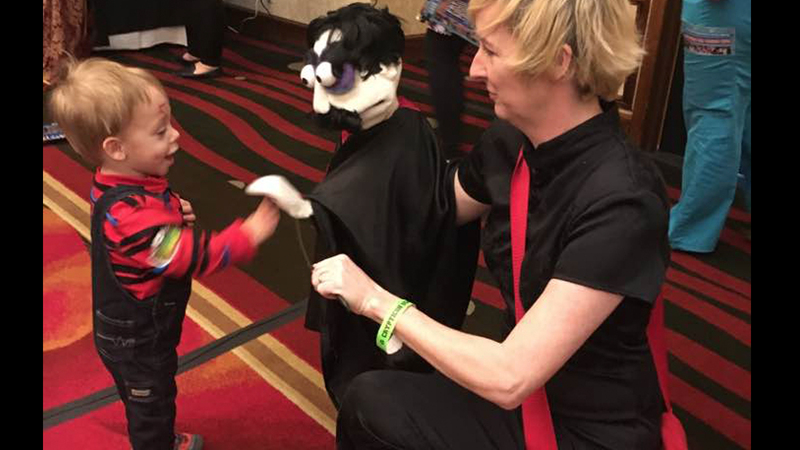 A horror-fan-in-training meets The Master from the puppet play MANOS: THE HANDS OF FELT. The first of four panels I was on for the weekend was all about my favorite horror movie, PHANTASM! When a gentleman set down beside me with a small black case, and then proceeded to carefully open it, I thought he was going to reveal a Phantasm Silver Sphere. 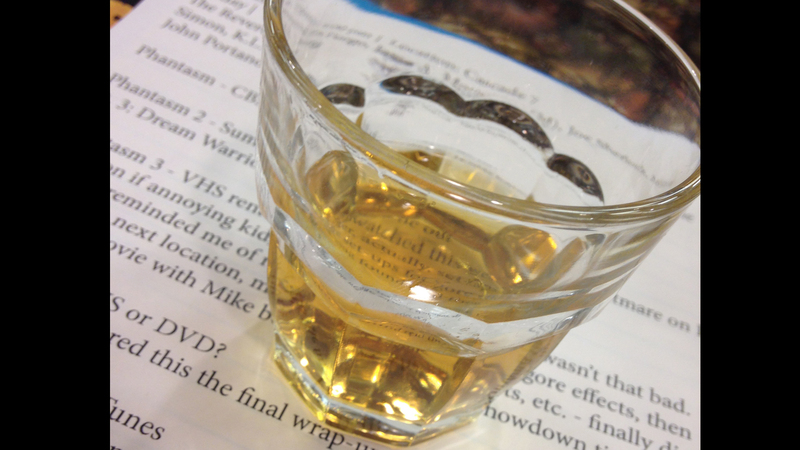 Instead, he revealed a minibar and shared scotch with all of us! Bravo! This was my favorite panel and I had a great time sharing the love of this quirky franchise. 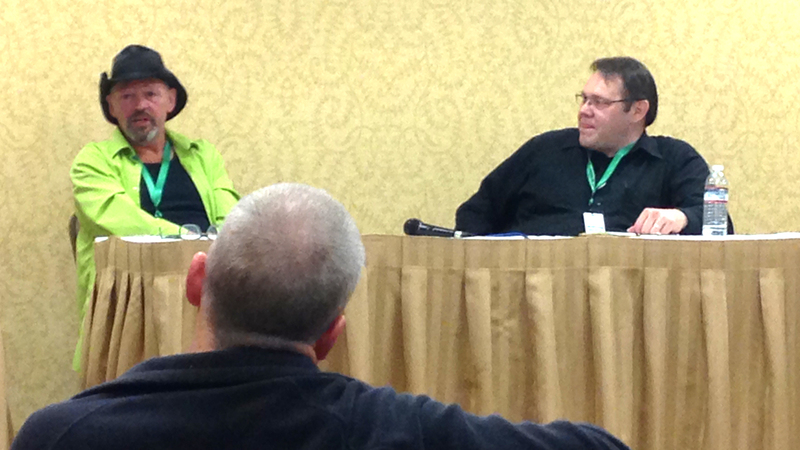 An hour later, I moderated a panel about Cheap/DIY Filmmaking. 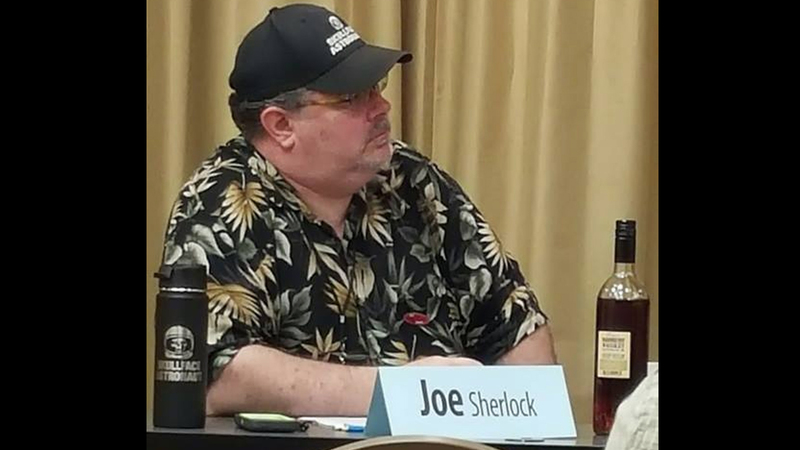 The kind gentleman with the scotch was on that panel as well, so I brought something to contribute as well as way more content than we ended up having time for (sensing this might have been the case I also brought a bunch of handouts for attendees to take with them). Man, that hour flew by. 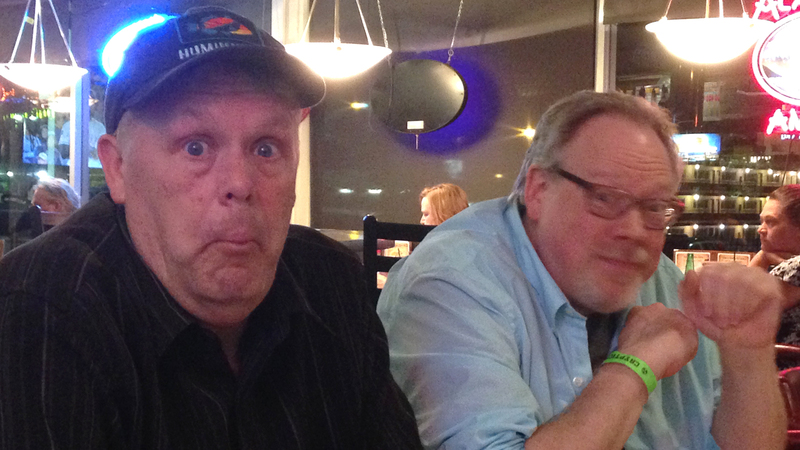 Afterwards we walked over to Dave's Diner for a late dinner. 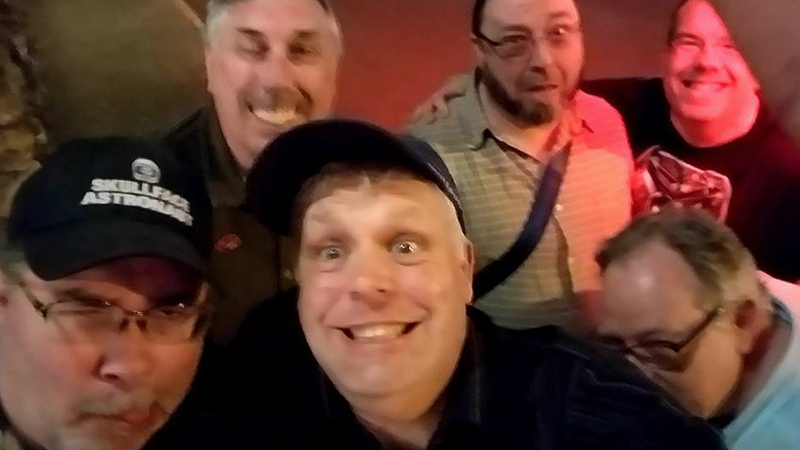 Somebody thought this photo would be a good idea after dinner. Someone had forgotten to bring the limes for Rob's Bloody Mary bar, so Rick asked the waitress if there was any way to buy some from the restaurant. 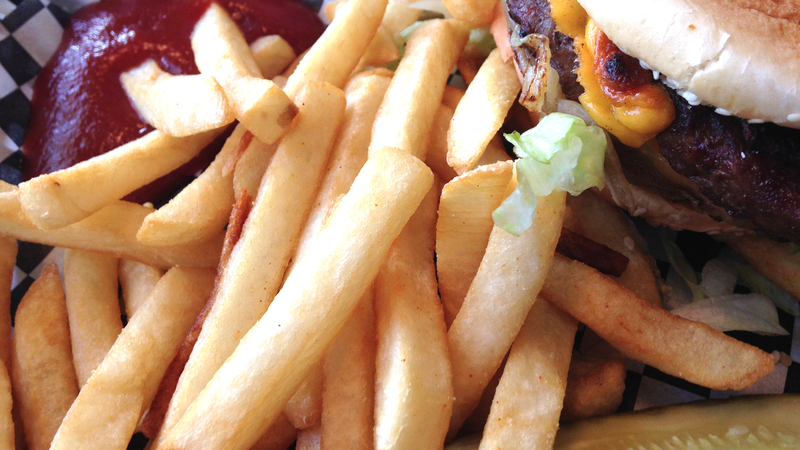 On the way out, she gave us a take-out box, but it turns out all they had were lemons. 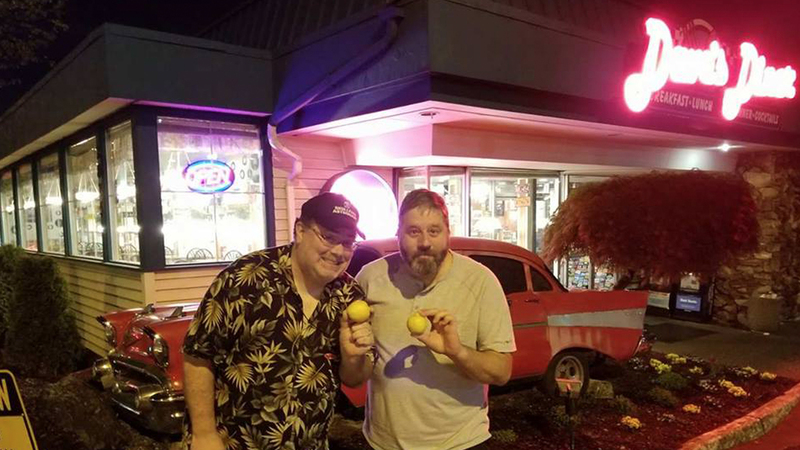 So when life gives you lemons, you take a dumb picture with them. 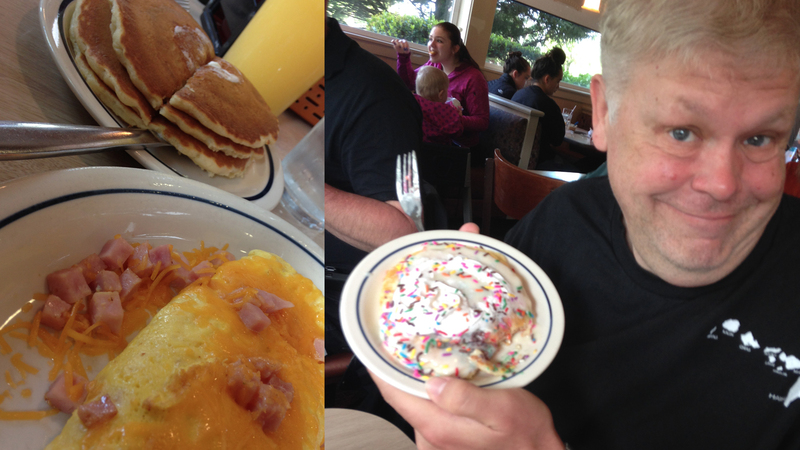 Saturday morning at IHOP: while I had a ham and cheese omelette and some pancakes, John opted for the whippy-creeme-sprinkles breakfast. 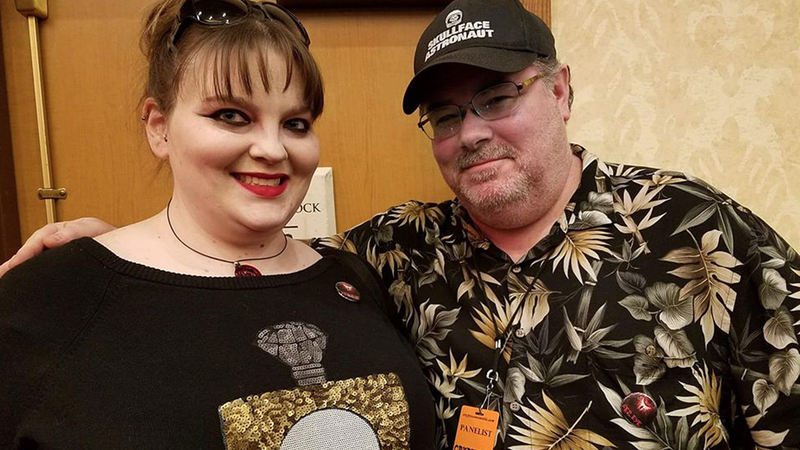 When our waitress came to the table, I recognized her right away - she had been a part of a Crypticon trip diary 5 years earlier! 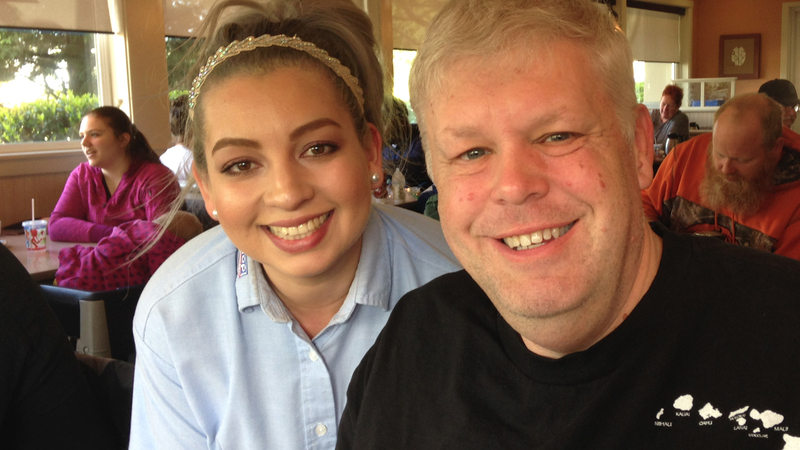 Here she is with John back in 2012! Rather than thinking we were creepy stalkers, she thought it was great and was happy to recreate the pose for this year! 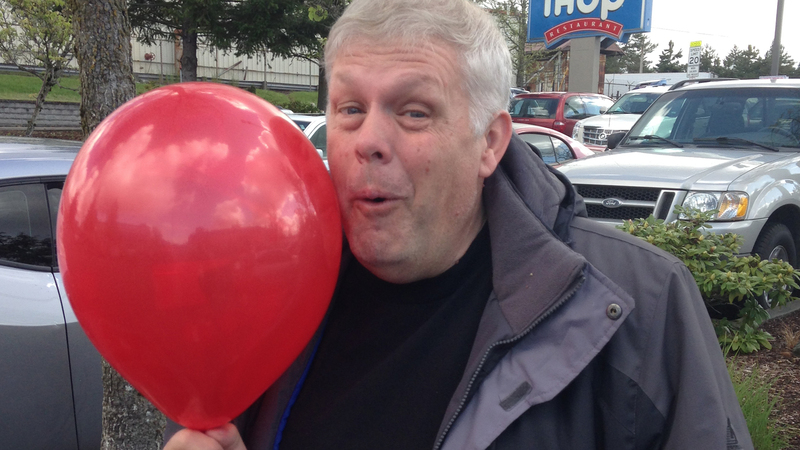 We decided it was John's special day, so we got him a balloon. 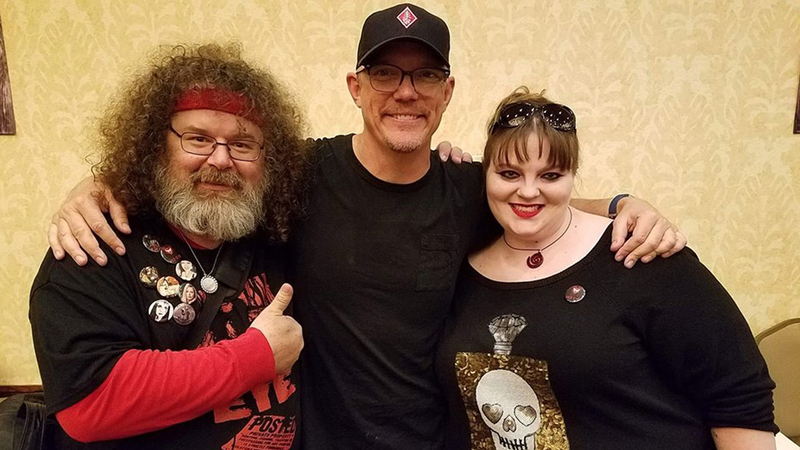 Matthew Lillard's panel was just plain amazing. His tales of gaining and losing fame, deciding that he truly wanted to live as a working actor (and how hard that is) and all manner of stories were just fascinating. He was funny and brutally honest and caring. Great, great session. 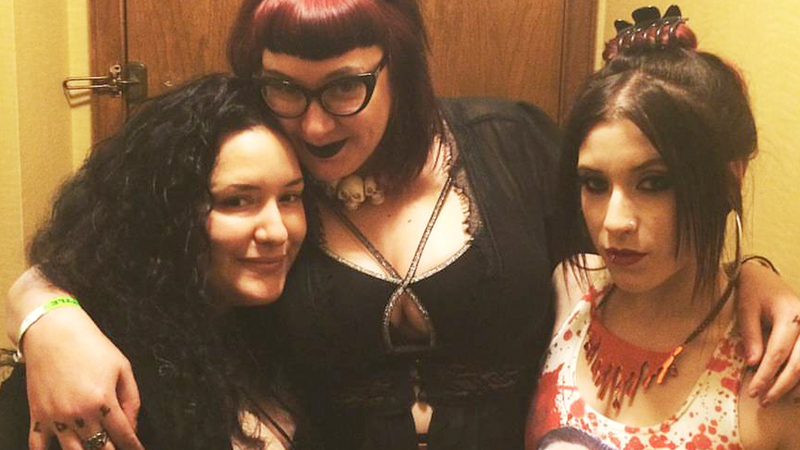 I chatted with Deanna Uutela from Living Dead Magazine, but did not get a pic with her, so here's a cool shot of her with Mi Chelle and RoseCityMonster. The MANOS RETURNS gang checked out the hearses in the parking lot. 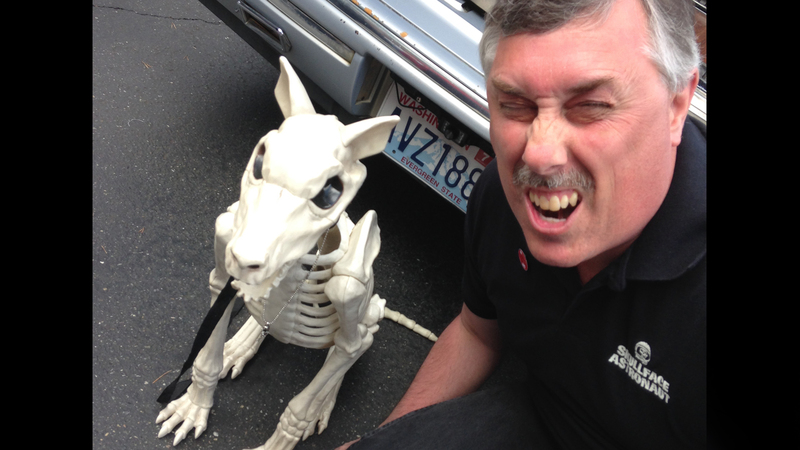 Dale and a skeleton dog. 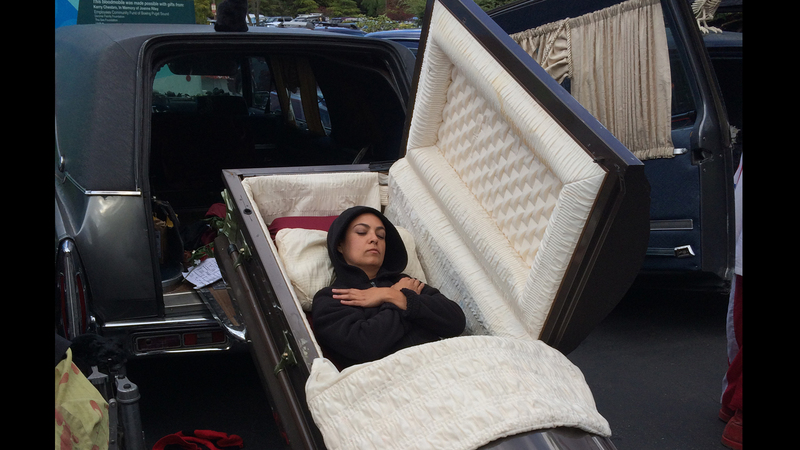 Nuria wanted to check out the coffin at the back of this hearse. 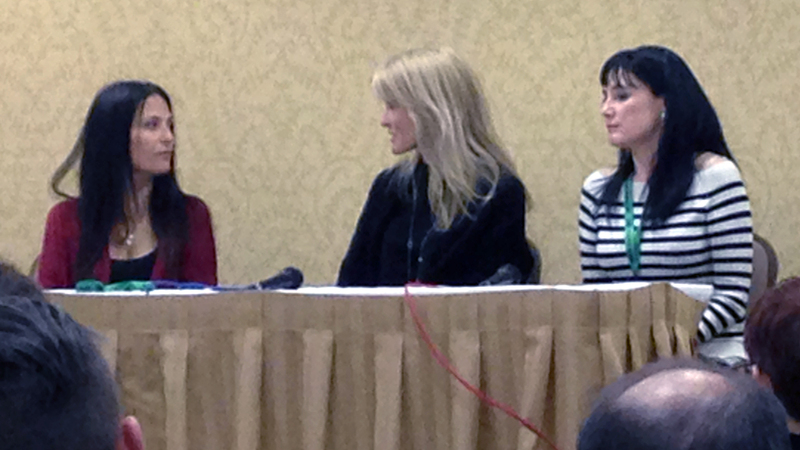 The Awesome 80s panel with Judie Aronson (Weird Science, Friday the 13th: The Final Chapter), Suzanne Snyder (Weird Science, Killer Klowns from Outer Space) and Jill Schoelen (Popcorn, The Stepfather) was full of fun behind-the-scenes stories. 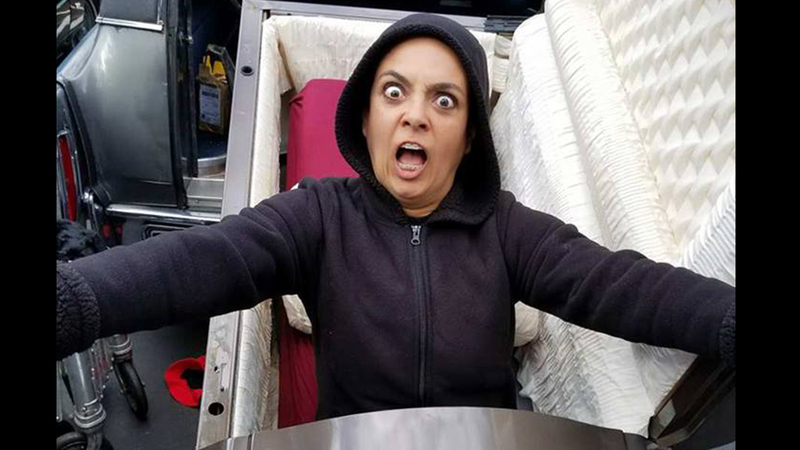 Here's RoseCityMonster later on, after an amazing make-up transformation! 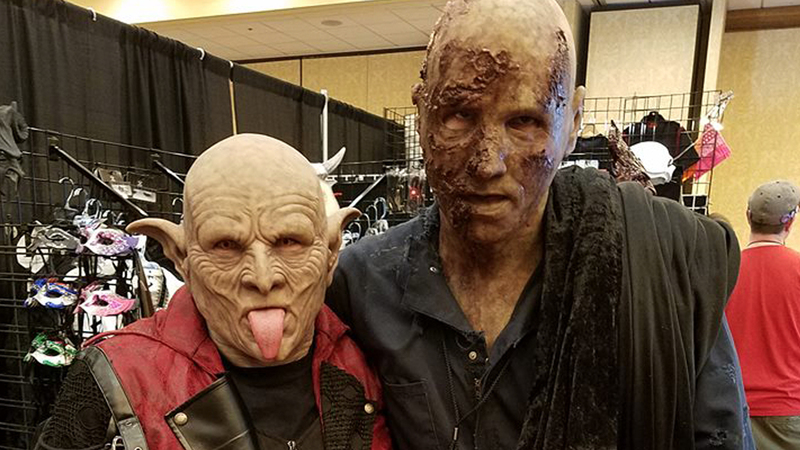 Just normal stuff you see at Crypticon Seattle. 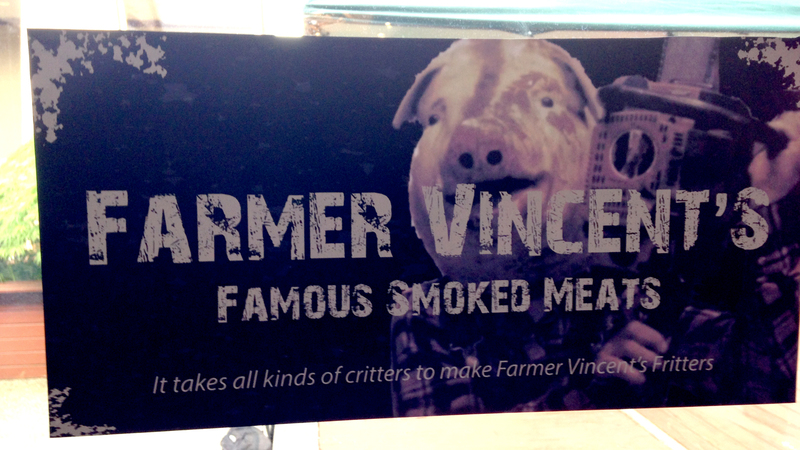 Signs for the courtyard BBQ, a nod to Farmer Vincent from MOTEL HELL! 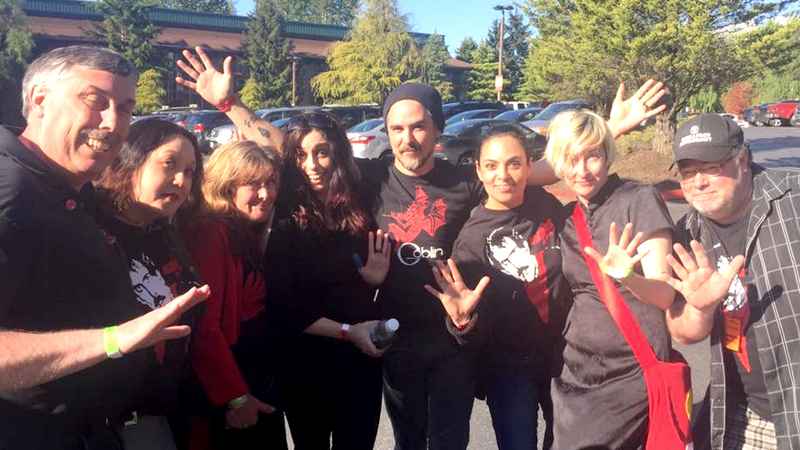 As FATE would have it, the MANOS RETURNS crew grew some more on Saturday and we all ran into each other in the parking lot! Time for another photo. Hey look! 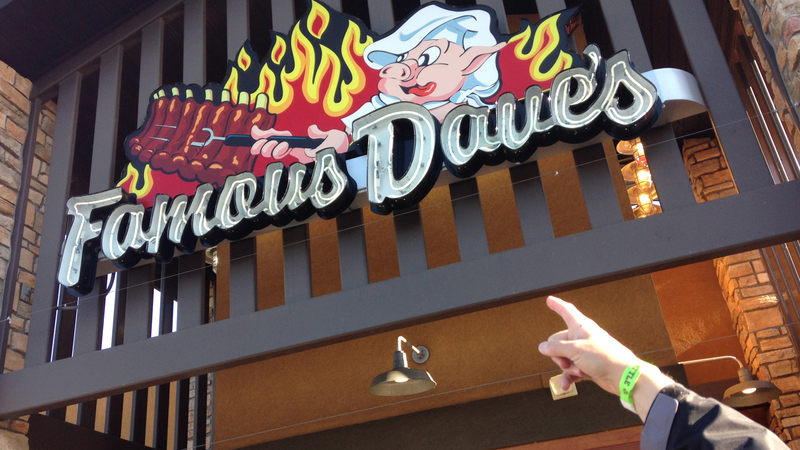 It's Famous Dave himself! He likes to point as much as we do! 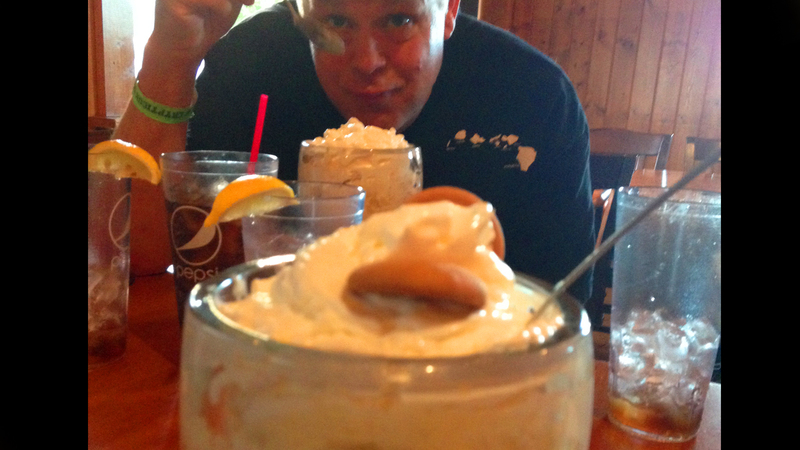 Banana pudding the size of your head. John and I each had one. 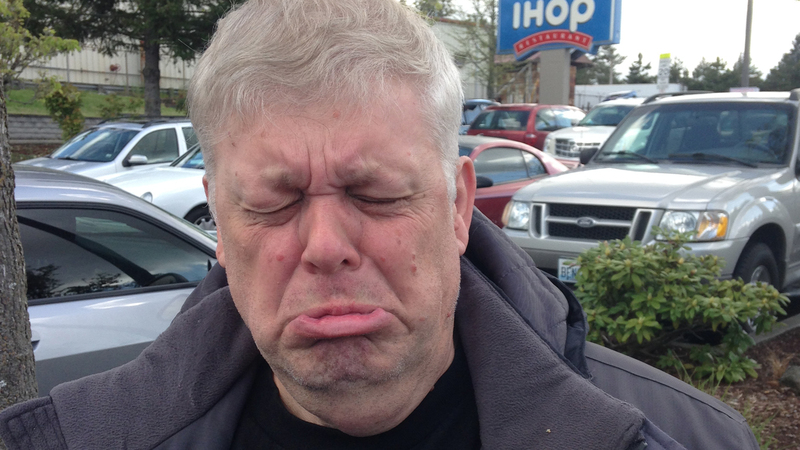 Man was it good, but man was I full. Like, until the next day! 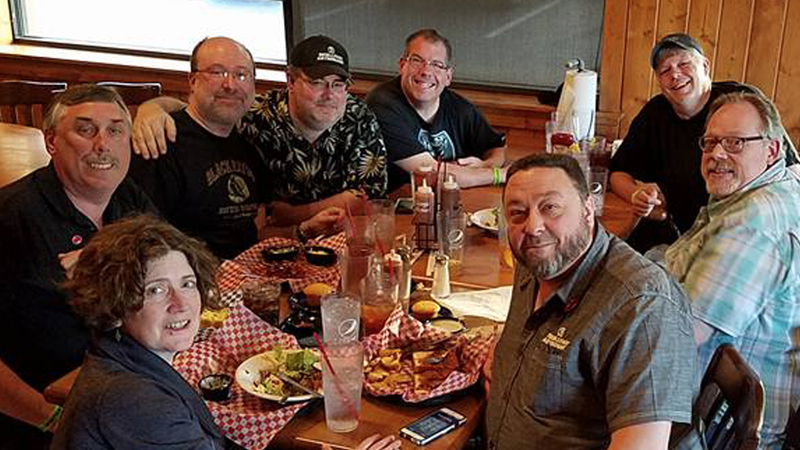 Later Saturday night, we headed on down to the Prom of the Dead event and had a good time hanging out and chatting with old friends. Afterwards, we checked out some of the 13th Floor parties and later returned to the Prom to people watch and relax. 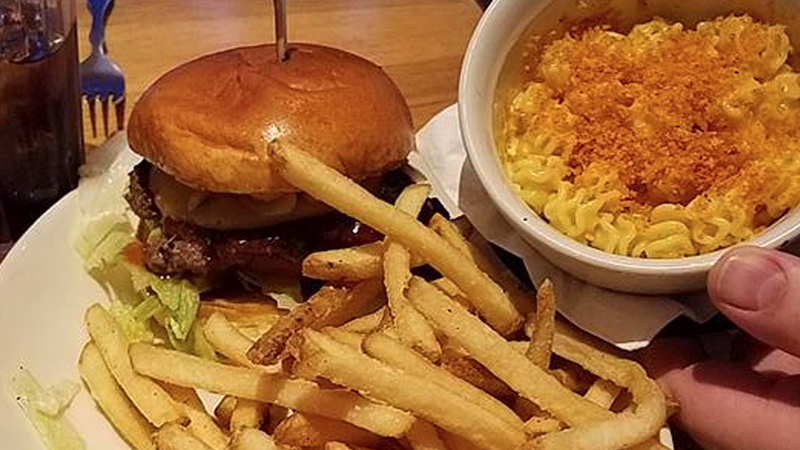 We saw some bright lights set up with a backdrop at the opposite end of the room, and it was clear it was for the previously-mentioned food-centric reality show. Before long, the DJ's loud music stopped and staff closed and guarded the other exit to the room. 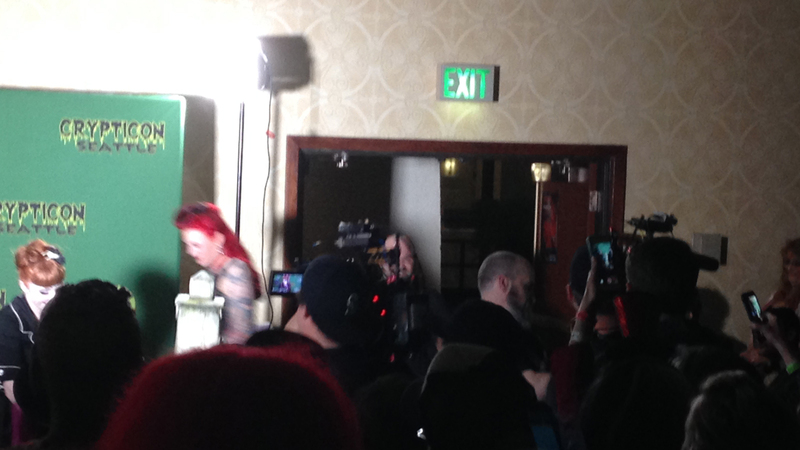 Someone tried to leave and were told that no one was allowed in the hallway while the TV show was filming. I wandered over to the edge of the crowd at other exit to watch for a bit. The crew entered and got set for the big entrance scene. The DJ wasn't too happy about having to stop his music, and kept playing short sound clips of random spoken audio, which was driving the assistant director crazy and had him giving a quite aggressive neck-slicing motion over and over again. Eventually the cake was rolled in and the crowd cheered. But as you know, reality TV isn't actually reality, so the camera crew went back into the hallway and came in again to capture the crowd. More people tried to leave but were still told the were not allowed to exit. I suddenly realized that we could be stuck in this stupid room for hours as the crew shot take after take after take of all this cake reality. This was not how I wanted to spend my evening. So I found a back exit door and went through it, finding myself in a narrow hallway full of stacked chairs and boxes. Some guy in a suit jacket with a walkie talkie followed us but we didn't care. The zig-zaggy hallway exited near the con lobby area and we were free! Sunday morning we walked back over to Dave'd Diner for brunch. 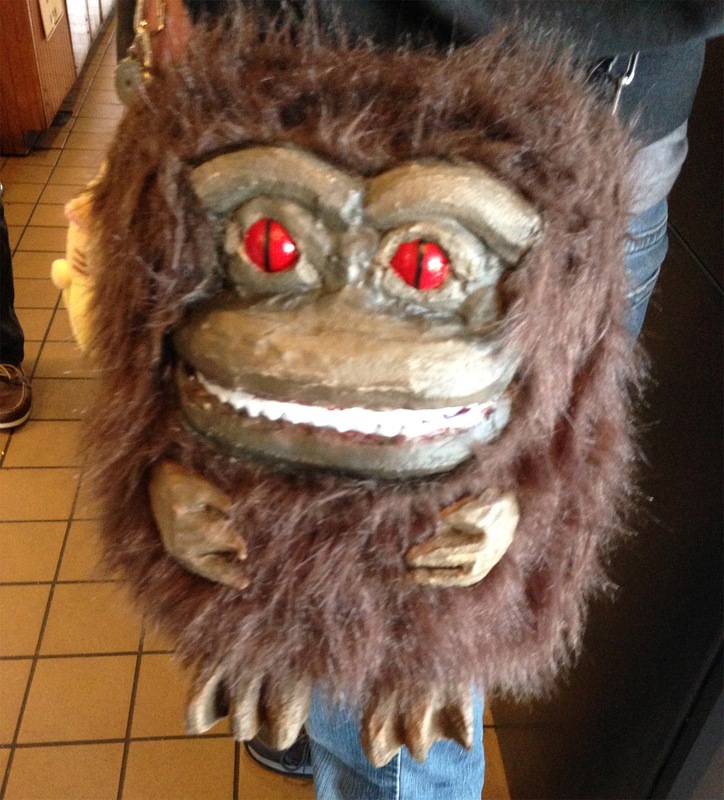 While paying the bill I noticed a woman with a super cool CRITTERS purse she had made. Sweet! 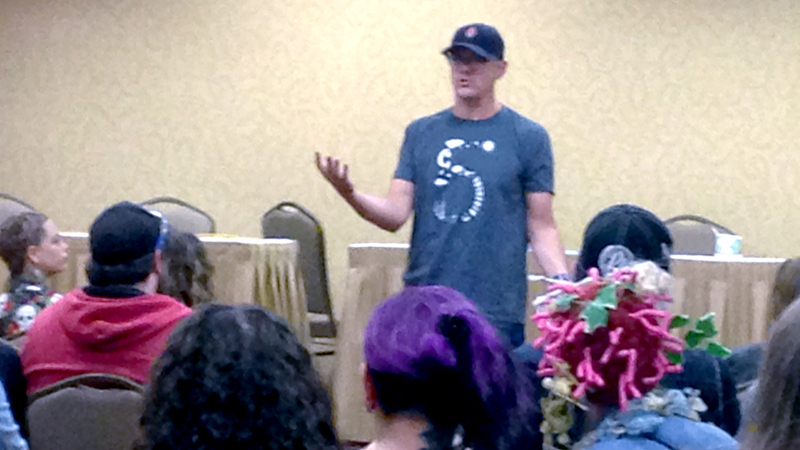 I caught the end of Roy Wooley's panel. 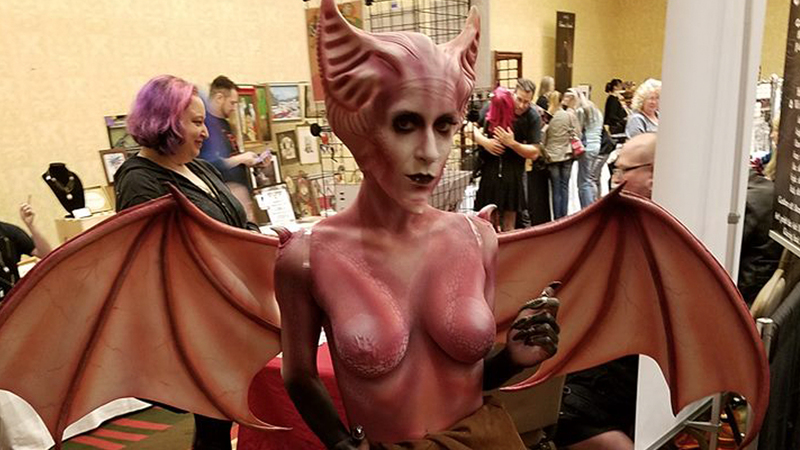 Interesting stories from the inside of the make-up biz. 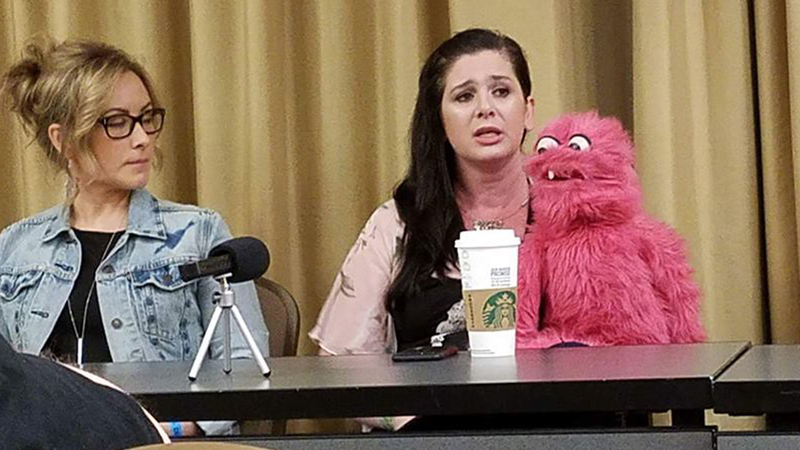 We checked out the Puppet Killer panel where they premiered their trailer. 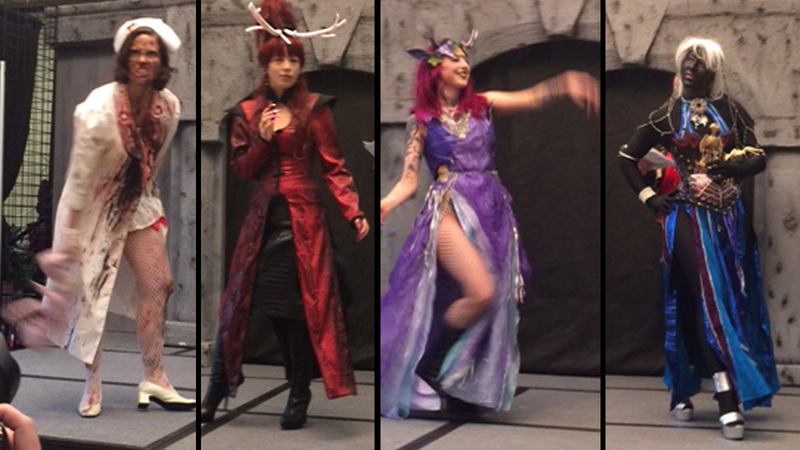 Then we checked out some of the horror fashion show. Well look who I ran into ! 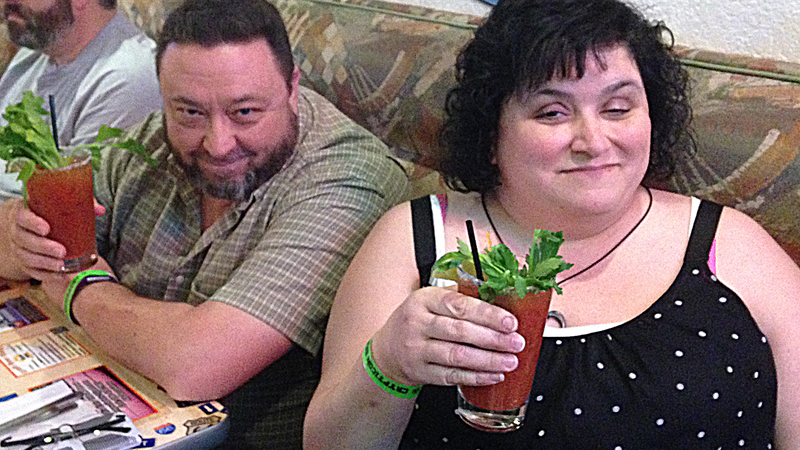 Melody and Tim made it up for Sunday. Brent and Mel share an embrace. 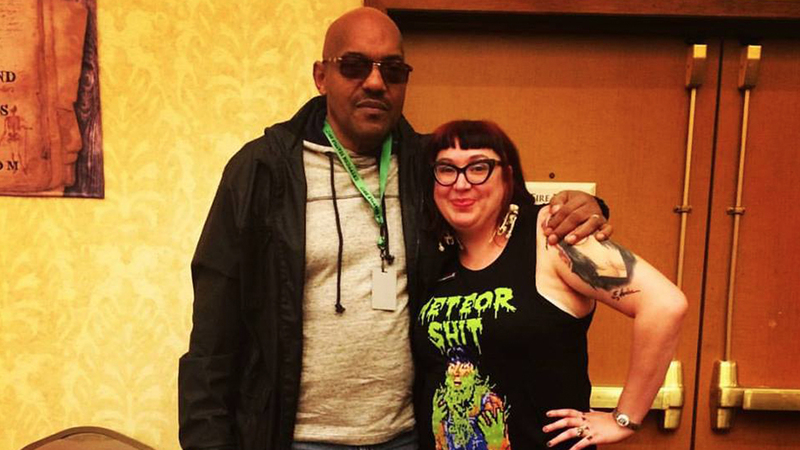 Deanna caught up with her ol pal Ken Foree. 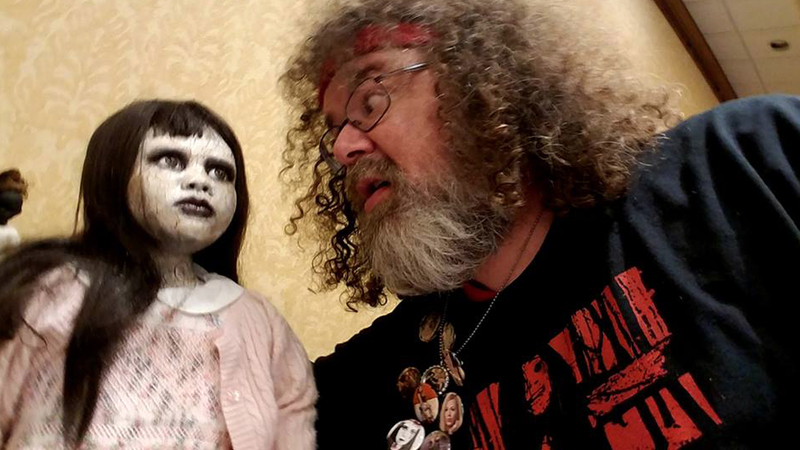 Tim had a stare down with a haunted doll. 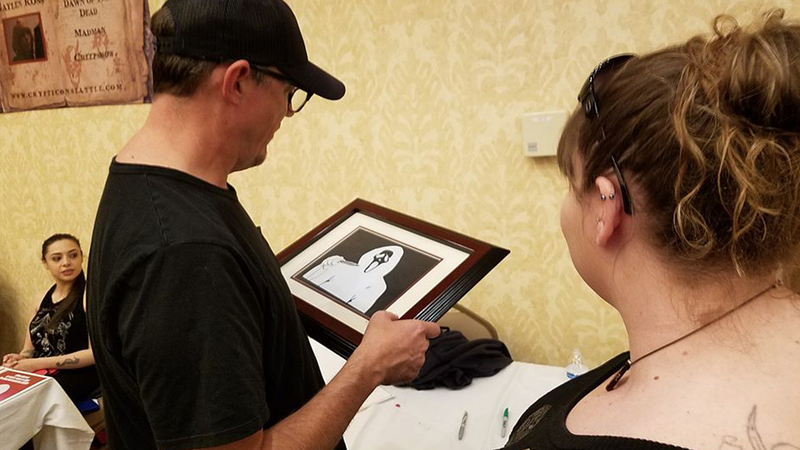 Melody presented Matthew Lillard with some SCREAM artwork she had made. 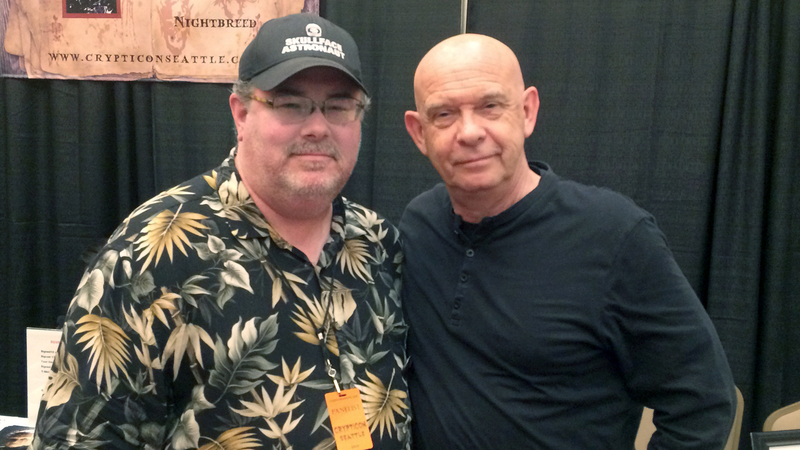 I stood in line at Doug Bradley's table and got to hear a long story about the making of HELLRAISER 4 in answer to a question the guys in front of me had asked. It was like a mini-panel! 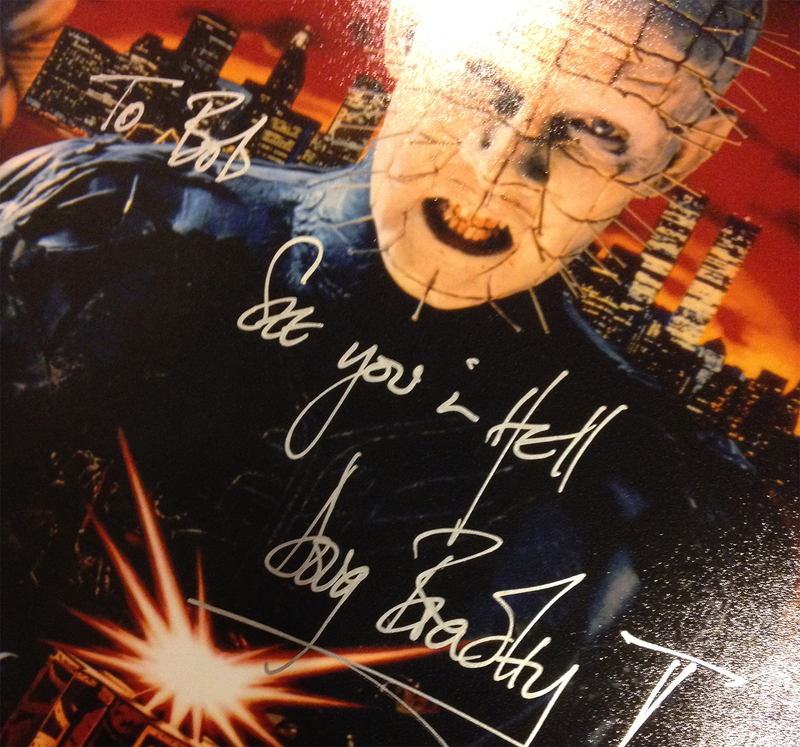 I got this autographed photo for my buddy Bob. Me and Doug. 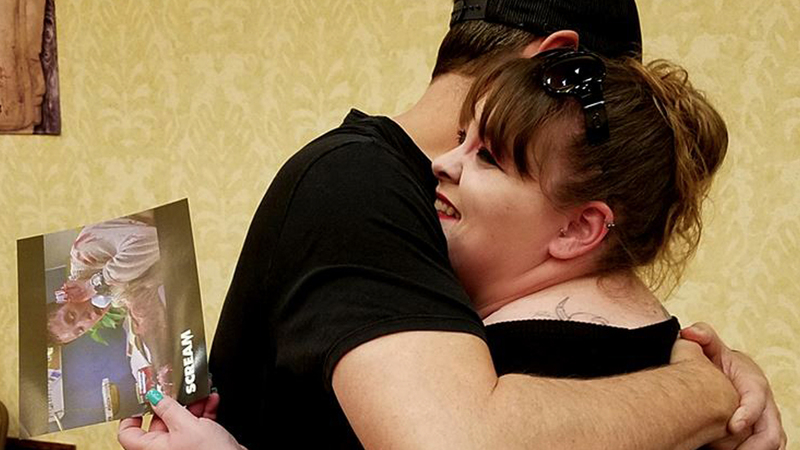 What a great way to wrap up Crypticon 2017. 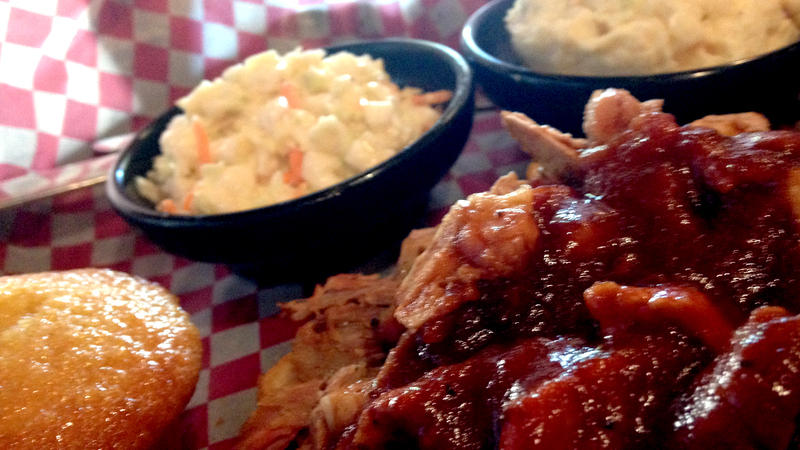 On our way to Famous Dave's the day before we saw a new place that had opened and decided to try it for dinner. 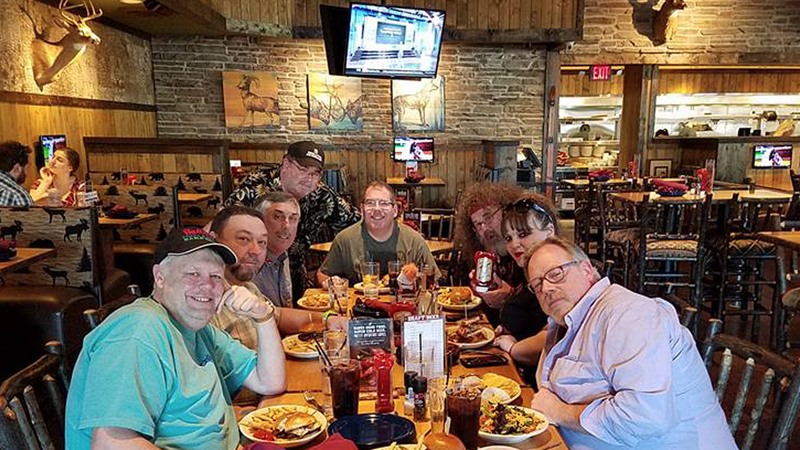 Our weekend of fun ended with food, friends and severed animal heads. Perfect. 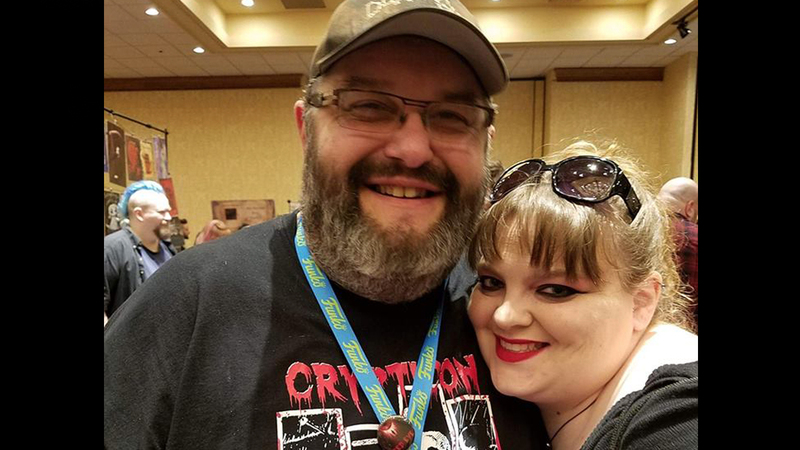 Farewell Crypticon 2017. Looking very forward to 2018! 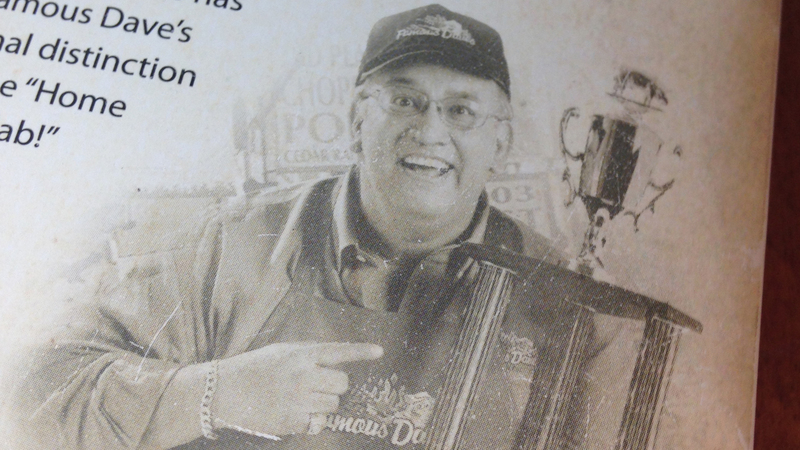 Thanks to Dale, John, Tim, Donna, Tonjia, Rachel, Deanna, and Nadia White for contributing photos to this year's diary.